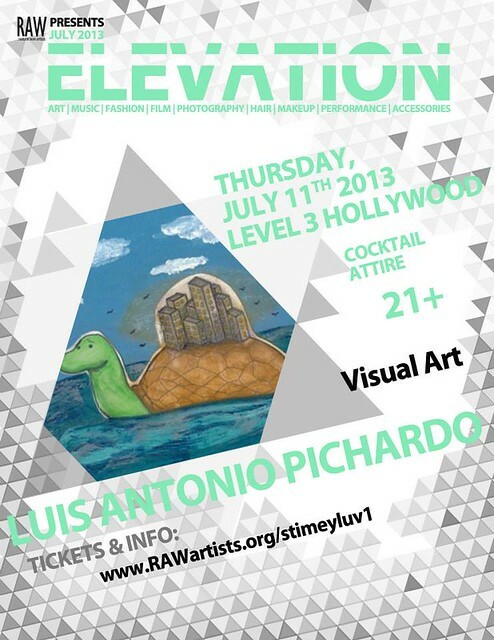 Smiley Faze Productions is a featured artist at RAW presents: Elevation, an art show being held on July 11th, 2013 at Level 3 Nightclub in the Hollywood and Highland Complex from 8pm–midnight in Hollywood, California! Tickets are currently on sale, and will only be available for purchase until Monday, July 8th. For those who buy their tickets before Monday, July 8th, 2013, you will be eligible for a FREE 4″x6″ print! The free print will be delivered at the art show to those who purchased their ticket, unless otherwise arranged by contacting Luis at stimeyluv1@yahoo.com. Get your tickets today and take advantage of this special offer! Tickets can be purchased by visiting http://www.rawartists.org/stimeyluv1. A portion of Smiley Faze Productions’ sales that night will go to benefit DSTL Arts, a nonprofit arts mentorship organization for creative at-risk youth! Reblogged this on Suede Expression.